Many of the vineyards offer live music over the summer and Rochford has an established reputation for attracting big names to the Valley. The Shortest Lunch celebrates the shortest weekend of the year in June (the Winter Solstice), in a relaxed, family oriented weekend of progressive, all-day dining to ward off those winter chills. A great time to visit is during the Shedfest Wine Festival, held annually on the second weekend in October. The festival was established to showcase the unique charm of some of the wineries and vineyards along the southern side of the Yarra Valley. 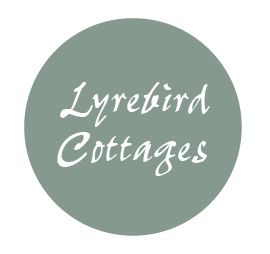 Rochford Wines is 20 minutes from Lyrebird Cottages and the venue for a series of concerts by well known Australian and international acts. Jazz is a feature of the Valley with several vineyards offering free jazz among the vines. Enjoy the outdoor vineyard settings, Yarra Valley wine, food and good music. Seville Hill and Vines Restaurant at Helen’s Hill have a series of summer events to enjoy.